Congratulations to WLN Norwalk member Meredith Kinsman! 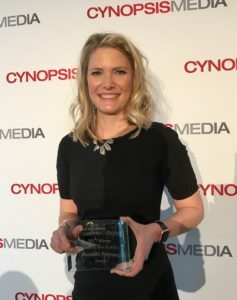 Octagon’s Digital Strategy Group Director was named to Cynopsis Media’s ‘Top Women in Digital’ list. The list honors the boldest and most creative marketers across digital content, marketing, advertising, online and social media. And Meredith is just that. She works alongside the agency’s brand clients to create digital strategies from program ideation, to planning and flawless execution. A big congrats is also in order for chapter member Victoria Baldwin, named to the Rising 25 Class of 2017 by Front Office Sports.